Athletics at the 2016 Summer Olympics were held during the last 10 days of the games, from 12–21 August 2016, at the Olympic Stadium. The sport of athletics in the 2016 Summer Olympics was split into three distinct sets of events: track and field events, road running events, and racewalking events. Track and field events were held at João Havelange Olympic Stadium, while the race walks and marathon start and finish in Recreio dos Bandeirantes and Sambódromo, respectively. Apart from the race walks and marathon, ten track and field events held finals in the morning session for the first time since 1988. This was implemented upon the request of the Rio 2016 Organizing Committee and the Olympic Broadcasting Service to be supported by the International Olympic Committee, ensuring that they received maximum visibility for the sport across all time zones. In the tables below, M stands for morning and A for afternoon. The Olympic qualification criteria were simplified by the International Association of Athletics Federations (IAAF) from a two-tiered “A” and “B” standard approach to a single qualification standard. Each National Olympic Committee was entitled to send up to three athletes per event that had reached that standard in the period from 2015 to 11 July 2016. Nations without a qualified athlete could enter one male and one female athlete who had not achieved the standard. Marathon runners had additional ways to qualify in that top 20 World Championship or top 10 IAAF Gold Label race finishers were treated as having achieved the standard. The relay teams entered were the top eight finishers at the 2015 IAAF World Relays plus the next eight highest ranking teams on the seasonal lists (based on an aggregate of their best two times). Nations with a strong tradition in athletics which had many qualified athletes available for events typically held selection trials to determine their teams (such as the 2016 United States Olympic Trials), or relied on panel decisions by their national governing bodies to determine which athletes could compete. 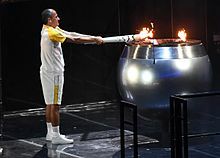 At the opening ceremony two figures from the sport of athletics played a key role: Olympic medallist in the marathon, Vanderlei de Lima, lit the Olympic flame for his home nation, while Kenya’s Kipchoge Keino became the first recipient of theOlympic Laurel for his efforts in promoting sport. Unlike most Suummer Olympic Gams, the athletics stadium was not the venue for the opening ceremony in Rio de Janeiro – that honour went to Brazil’s foremost soccer venue, the Maracanã Stadium. The second day opened with a first in Olympic history as a man succeeded his brother as Olympic champion. In a dramatic final round, German discus throwerChristoph Harting moved up from fourth to gold medal position with a personal best throw and topped the podium as his brother Robert Harting had four years earlier.Mo Farah – a double-Olympic champion from 2012 – defended his 10,000 m crown in spite of a fall which saw him slip to the back of the pack during the middle of race. Farah had been one of three gold medallists for Great Britain on a “Super Saturday” for the host nation at the 2012 London Games, but the two others of that day did not prevail in Rio de Janeiro. Jessica Ennis entered as favourite for the Olympic heptathlon but was runner-up to Belgian Nafissatou Thiam in an upset which saw the 21-year-old add over three hundred points to her personal best score. Defending Olympic long jump champion Greg Rutherford was reduced to third place as American Jeff Henderson won the closely fought men’s competition. Another defending champion was dethroned in the women’s 100 metres: Shelly-Ann Fraser-Pryce‘s attempt to become the first person to win three straight Olympic track titles was thwarted by Jamaican teammate Elaine Thompson. The morning final for the third day was the women’s marathon, which saw Jemima Sumgong win Kenya’s first Olympic gold medal for that event. The race was unusual in that two sets of twins crossed the line together: North Korea’s Kim Hye-song andKim Hye-gyong took tenth and eleventh while Germans Anna and Lisa Hahner were 81st and 82nd. Furthermore Estonia’s Lily, Leila and Liina Luik became the first triplets to feature in an Olympic final. In the women’s triple jump Caterine Ibargüenwon Colombia’s first Olympic gold medal in athletics. Usain Bolt achieved the feat fellow Jamaican Fraser-Pryce had failed to do one day earlier by taking his third straight Olympic 100 m title. This made him the most decorated athlete in the 100 metres at the Olympics. South Africa’s Wayde van Niekerk provided the second world record performance of the athletics programme with his win of the men’s 400 metres in 43.03 seconds. This knocked 0.15 seconds of Michael Johnson‘s time which had gone unbeaten since 1999. The third and last athletics world record at the Olympics came on day four. Poland’s Anita Włodarczyk was dominant in thehammer throw, becoming the first woman to throw beyond eighty metres three times in a competition and adding over a metre to her own world record with 82.29 m (269 ft 113⁄4 in). Four of her six throws would have been sufficient to win. Another record was in sight for Ruth Jebet in the women’s 3000 metres steeplechase, though she missed the mark by a second after slowing to celebrate winning Bahrain’s first Olympic gold in any sport. In the women’s 400 m Allyson Felix was stopped from winning an historic fifth Olympic gold by Shaunae Miller of the Bahamas, who dived at the line to win the race. Men’s 800 metres world record holder David Rudisha defended his 800 m Olympic title, being the first man in over half a century to achieve that. A surprise victory for the hosts came via Thiago Braz da Silva, who added ten centimetres to his previous best to win in an Olympic record of 6.03 m ahead of world record holder Renaud Lavillenie of France. Departing from Olympic traditions, the home crowd booed Lavillenie while he was attempting his final vault and he was booed again at the medal ceremony after comparing his treatment to that of Jesse Owens at the 1936 Summer Olympics in Nazi Germany. The partisan treatment was criticised by da Silva, IOC President Thomas Bach and IAAF president Sebastian Coe, though defended by some as an intrinsic part of Brazilian sporting culture. On the fifth morning, Croatia’s Sandra Perković became the only woman to defend an individual Olympic athletics title that year, topping the discus podium. Christian Taylor became the only man in the field events to defend his 2012 Olympic title, repeating his American 1–2 finish with teammate Will Claye. The United States was less successful in the men’s 110 metres hurdles: its athletes failed to gain a medal for the first time ever (bar the 1980 boycott) while Jamaican Omar McLeod won by over a tenth of a second. Faith Kipyegon was a clear winner in the women’s 1500 metres ahead of Ethiopia’s Genzebe Dibaba. Derek Drouin won Canada’s first Olympic gold in athletics in twenty years in the men’s high jump. In the women’s 5000 m heats American Abbey D’Agostino and Nikki Hamblin of New Zealand fell during the race. D’Agostino stopped to help Hamblin to her feet, but then struggled herself with an injured ankle, which led Hamblin to help in turn so the pair could finish. The pair were later given the Fair Play award by the International Fair Play Committee for their show of sportsmanship. In his last Olympic outing, Ezekiel Kemboi failed to defend his Olympic steeplechase title, which went to his Kenyan teammate Conseslus Kipruto in an Olympic record time. 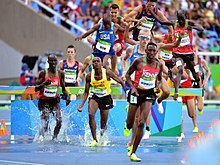 Kemboi’s initial bronze medal would have made him the first person to win three Olympic steeplechase medals, but a single step into the infield later saw him disqualified and Mahiedine Mekhissi-Benabbad of France achieve that feat in his place. Tianna Bartoletta beat the favourite in the women’s long jump, clearing a personal best of 7.17 m in the second to last round to leave her American rivalBrittney Reese with a silver medal. Americans also occupied the top spots in the women’s 100 metres hurdles with Brianna Rollins, Nia Ali and Kristi Castlin forming the first ever Olympic medal sweep by a nation in that event. The 100 m gold medallist Elaine Thompson completed a sprint double for Jamaica by defeating Dutch athlete Dafne Schippers in the women’s 200 metres final. 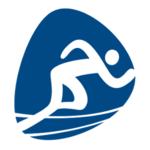 High profile eliminations came in the men’s qualifiers as two strong contenders for Olympic titles, Paweł Fajdek in the hammer and Justin Gatlin in the 200 m, failed to progress. The 400 metres hurdles finals were contested on day seven: Kerron Clement won the United States’s 19th men’s title and in contrast Dalilah Muhammad became the first American female winner. On a day of strong American performances, Ashton Eaton defended his decathlon title in an Olympic record score of 8893 points and in the men’s shot put Ryan Crouser greatly improved his best to 22.52 m (73 ft 101⁄2 in) to break Ulf Timmermann‘s Olympic record from 1988 (among men’s Olympic records, only Bob Beamon‘s long jump had stood for longer). The women’s javelin throw had an unexpected winner in Croatia’s Sara Kolak, whose winning mark of 66.18 m (217 ft 11⁄2 in) meant the 21-year-old had improved her best by over eight metres that year. The favourite delivered in the men’s 200 m, with Usain Bolt taking his third straight Olympic 200 m title by a margin of a quarter of a second. The women’s 4 × 100 metres relay heats featured the first ever re-run – Brazil has obstructed the American baton handover and the United States were allowed a solo run to qualify for the final on time, which they did. The morning of the penultimate day began with two racewalking finals. In the men’s 50 km walk Matej Tóth overtook defending champion Jarred Tallent to win Slovakia’s first Olympic gold in athletics while Liu Hong return China to the top of the women’s 20 km walk podium. Ekaterini Stefanidi of Greece won the women’s pole vault after the pre-event favourites faltered. Dilshod Nazarov made history in the men’s hammer throw by becoming Tajikistan’s first Olympic gold medallist. Vivian Cheruiyot achieved a first for her country in the women’s 5000 metres by outrunning 10,000 m champion Almaz Ayana to take Kenya’s first ever gold in the distance event. In that race, Cheruiyot set the last of eight Olympic records in Rio. The 4 × 100 m finals delivered new highs for Olympic athletics. The American women overcame their qualification troubles by winning from lane one, making Allyson Felix the most successful female Olympian in athletics at five gold medals. Usain Bolt anchored the Jamaican men to the gold to complete a set of three consecutive victories across the 100 m, 200 m and relay (referred to as a “treble treble”). Bolt equalled Carl Lewis and Paavo Nurmi‘s record of nine Olympic gold medals in athletics. On the ninth and final day of action in the track and field stadium, Matthew Centrowitz Jr. secured a tactical win in the men’s 1500 m while Caster Semenyaused her sheer speed to win the women’s 800 m. Behind her Francine Niyonsabawon only the second ever medal for Burundi at the Olympics. In the women’s high jump, Ruth Beitia became Spain’s first female Olympic champion in athletics, though this was overshadowed by the fact her winning mark was the lowest since 1980 and she was outperformed by two heptathletes in Rio. Thomas Röhler cleared ninety metres to win the men’s javelin throw. Mo Farah became the second most successful track athlete of the 2016 Rio Olympics by defending his 5000 m title, making him one of only two men alongside Finland’s Lasse Virén to have defended both long-distance titles at consecutive Olympics. In the last track events of the games, the United States won both the 4 × 400 metres relays. Their victory in the women’s race meant Allyson Felix set a record high for women’s Olympic athletics with six gold medals and nine medals overall. 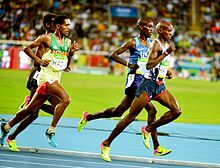 The men’s marathon was contested on the last day of the Olympics and Eliud Kipchoge comfortably won by the largest margin since 1972. As in previous years, the United States won the most medals in athletics and at thirteen golds and 32 overall they won more than double the next most successful nations. In the absence of Russia, Kenya and Jamaica placed second and third with six gold medals and the only other nations to win more than ten medals in total. In the 2016 Olympic athletics programme, 141 medals were awarded and 43 nations reached the medal table. * Indicates the athlete only competed in the preliminary heats and received medals. The women’s 10,000 metres provided the first two continental records of the Olympics, in Almaz Ayana’s African record andMolly Huddle‘s record for the North, Central American and Caribbean region. Russia’s athletics team was banned from competing at the 2016 Summer Olympics on June 17, 2016, when the IAAF voted unanimously to prevent them from competing. This punishment is because of the ongoing Russian doping scandal.Darya Klishina was the only Russian athlete allowed to participate. The Refugee Olympic Team, in its first appearance, included six track and field athletes among it 10-strong team. The Olympic athletics competition was majorly affected by the ban of the All-Russia Athletic Federation (ARAF) by the sports governing body, the International Association of Athletics Federations (IAAF). The IAAF undertook this action to exclude all Russian athletes following the discovery of state-sponsored doping in Russia. The Russian President accused the body of discrimination against his country’s athletes, saying the ban was a “collective punishment which has nothing to do with justice”. The Russian Minister for Sport, Vitaly Mutko, was directly implicated in the investigations. The members of Russia’s 68-strong team were allowed to appeal the ban and compete under a neutral flag if they could present evidence that they did not have links with the doping scandal and received testing independent of the Russian national anti-doping body. Only one athlete, United States-based long jumperDarya Klishina, met the criteria and was allowed to compete. Her selection garnered negative press in her home country. The situation led pole vaulter Yelena Isinbayeva, one of Russia’s top athletes, to announce her intention to stand for ARAF President to resolve the crisis. Yuliya Stepanova, a Russian runner who was key in unveiling the doping issue through her whistleblowing, attempted to gain permission from the international Olympic Committee to compete at the Games as an independent athlete, but was unsuccessful on the basis of her having previously failed a doping test. Her husband and coach Vitaly Stepanov, who also acted as whistleblower, said that the decision sent “a message that the World Anti-Doping Code and the values of Olympism are merely words on a page”. The couple’s actions were widely denounced in Russia, with the president’s spokesman labelling the couple as “Judas”.Stepanova received strong support from Travis Tygart, the head of the United States Anti-Doping Agency, who approved of her application to compete. Silvia Danekova of Bulgaria was the first athletics doping suspension at the Olympics, as the sample she had given on arrival was positive for EPO. Two Kenyan officials were also sent home on doping points: coach John Anzrah impersonated runner Ferguson Rotich to give a doping control and Michael Rotich was expelled following allegations of forewarning athletes of unannounced drug tests.